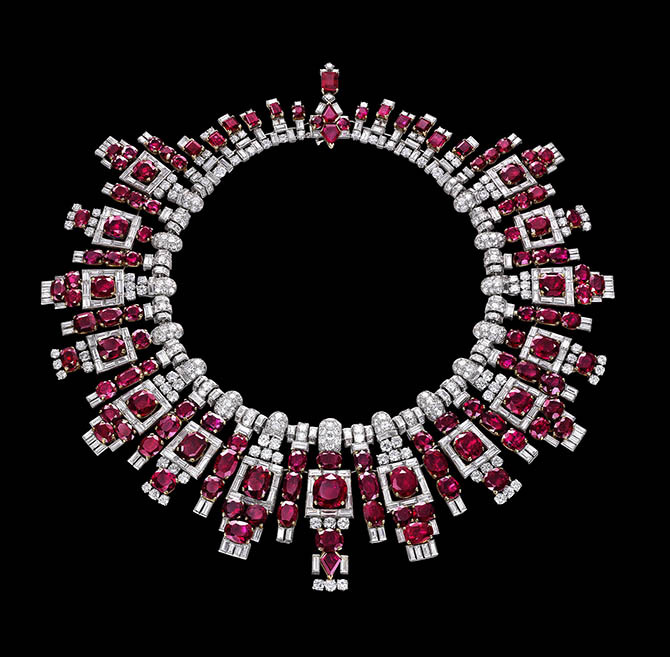 In the last several years the Al Thani Collection of jewels has been the focus of exhibits at Metropolitan Museum of Art in New York, the Victorian & Albert Museum in London, the Miho Museum in Japan and now the Grand Palais in Paris. 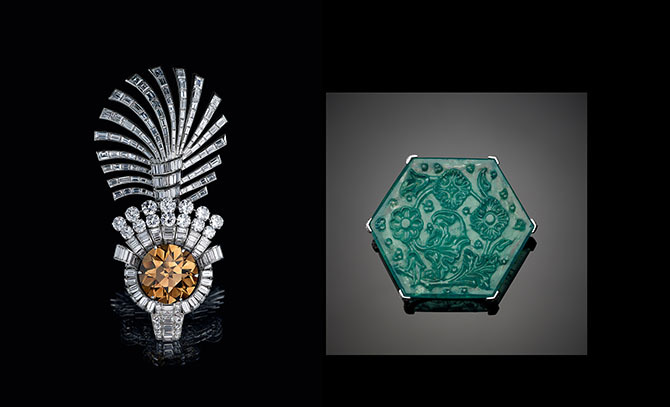 At each location, more jewels from Sheikh Hamad bin Abdullah Al-Thani’s fabulous collection have been shown. In New York, there were 60 objects that left the Big Apple in awe while they were in the museum for three months beginning in November of 2014. 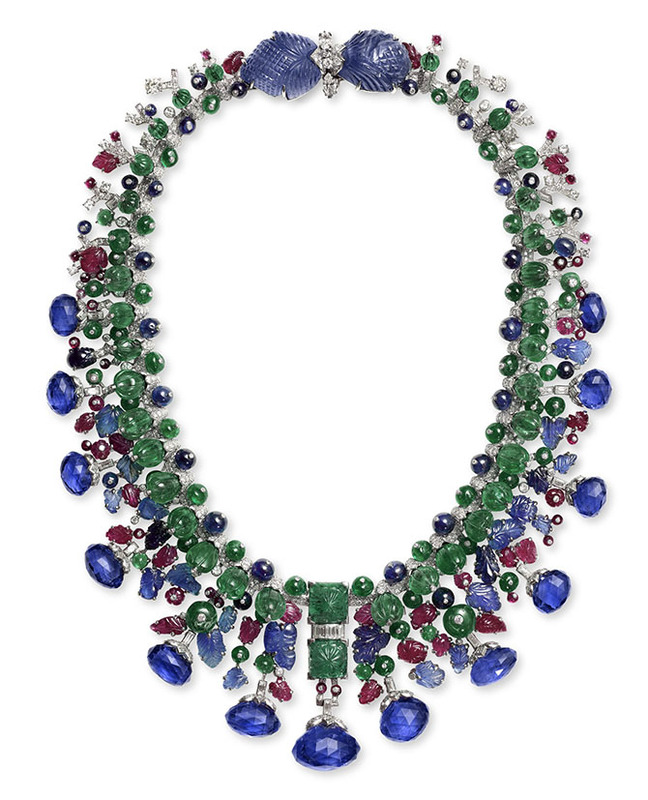 London had over 100 jewels and objects in its show that opened on November 2015. In Japan, there were 181 items in the winter of 2016 presentation. In Paris, the new exhibition, that will be at the Grand Palais until June 5, 2017, has 270 jewels and objects. 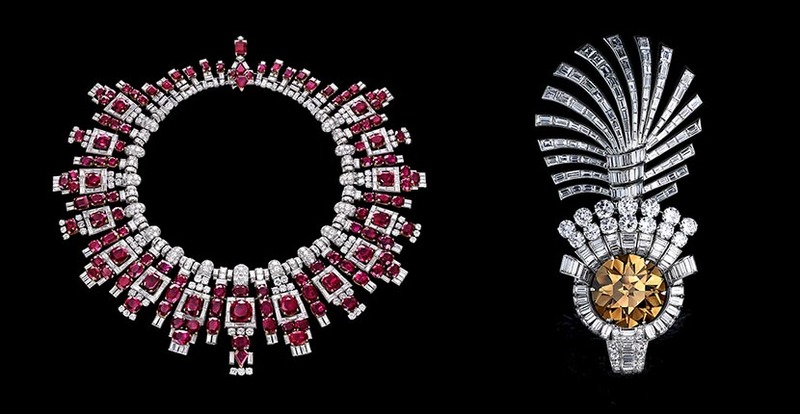 The masterworks from the Al Thani Collection are being shown alongside jewels from other institutions and collections including the esteemed Cartier Collection illustrated here among the Al Tahani Cartier jewels. The epic show, titled From the Great Mughals to Maharajas: Jewels From The Al Thani Collection, continues the narrative that each exhibit has examined—the splendor of Indian jewelry and its influence on western design. In many ways, this stop in Paris is a homecoming of sorts for the jewelry collection. 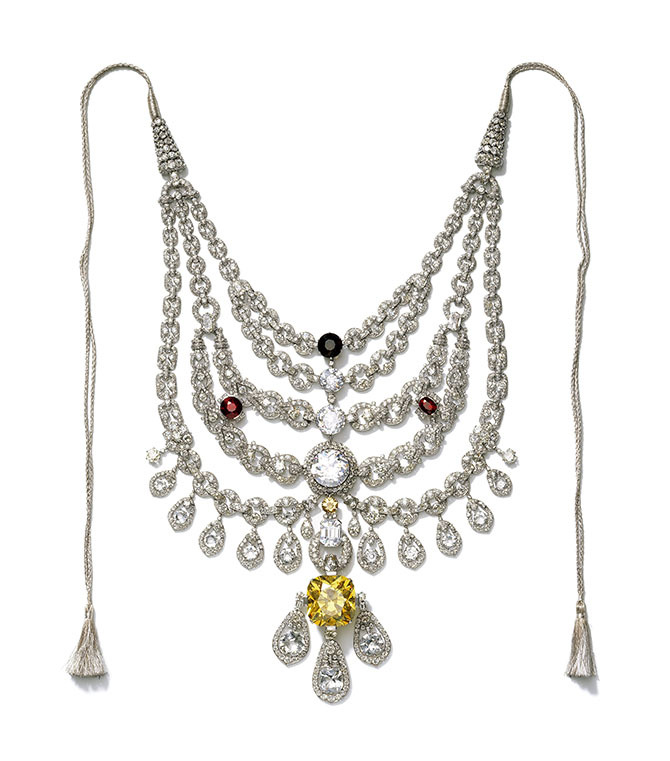 The Maharajas adored the jewelers in the City of Lights more than any other destination outside of India. They commissioned jewels in the Indian style as well as art deco designs during the Café Society days of the 1920s and thirties. 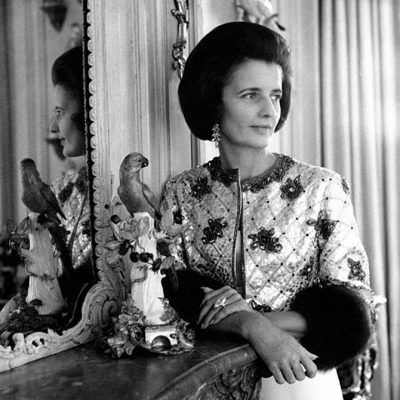 In turn the maharajas’ magnificent style had a major influence on the French jewelers of the period— Cartier, Van Cleef & Arpels, Mellerio dits Meller—and continues to hold sway over designs to this day. Several amazing jewels by JAR are in the show. One can only wonder now how the Al-Thani Collection will top this presentation in whatever splendor they have planned next. 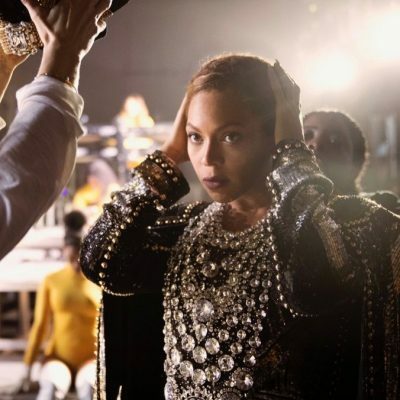 See more jewels from the exhibition in this trailer for the show.